Places are already filling fast for the next batch of BM TRADA’s training courses for timber frame and timber frame for engineers. To help engineers and designers to get to grips with the practicalities and complexities of timber frame, BM TRADA will be conducting an essential one-day course on September 30 at its High Wycombe headquarters. This new course looks at the fundamentals of timber frame construction from an engineering perspective and should help engineers and designers involved in the industry gain an in-depth understanding of how these systems work. Aimed firmly at engineers and timber frame designers, delegates will gain a thorough grounding in timber frame construction from the engineers’ perspective. This will include an in-depth look at methods of construction, connection detailing, principles of timber engineering, guidance on standards and design examples. The course – Timber frame construction for engineers – costs £189 + VAT for TRADA members and £229 + VAT for non-members. Meanwhile, with the latest research showing that timber frame housing is set for significant growth in 2014, BM TRADA’s is expecting a packed house for its new set of dates for its popular timber frame training course. 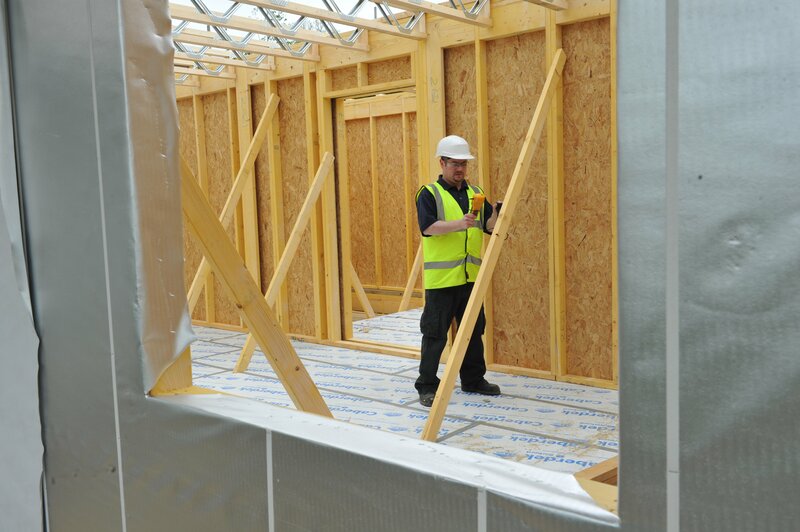 MTW Research has revealed the timber frame house building market is set to increase in 2014, with sales rising by £40 million. It stated that less ‘snagging’ and reduced on site build times continue to offer good reasons to choose timber frame over brick and block construction. Delivered by members of the BM TRADA frameCHECK team, who regularly attend sites to provide best practice advice, or assist in solving problems, the courses are written to complement BM TRADA’s fifth edition ‘Timber Frame Construction’ book. The training course aims to provide a better overall understanding of timber frame during design, construction phase and in use. Course content includes: Building Regulations; thermal bridging; air tightness; fire safety; acoustic performance; and cladding. Aimed at members of the timber frame industry, contractors, architects, specifiers and insurance companies, the courses take place at BM TRADA’s High Wycombe headquarters on September 25 and November 20. The cost per person including the Timber Frame Construction Book is £219 + VAT for TRADA members (£189 without the book) and £269 + VAT for non-members (£229 without the book). To book contact the training department on 01494 569620 or email timbertraining@bmtrada.com.